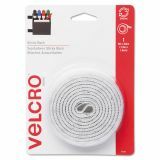 Velcro Sticky-Back Hook & Loop Fasteners w/Dispenser, 3/4" x 5ft Roll, White - Sticky Back Tape adheres to most smooth surfaces. Use on walls, glass, tile, plastic or metal. 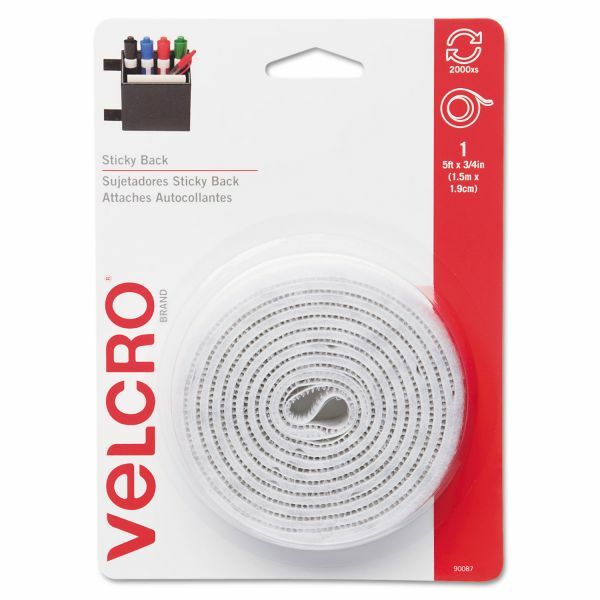 Tape works in conjunction with other fasteners or adheres to itself.